Over the years, I have done a number of posts related to trading content for contact. 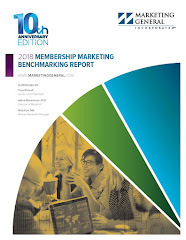 This technique is called a content marketing strategy where free samples of your membership content are made available -- typically online -- and those interested in using it connect with your organization. But what if you have tried this approach after reading some of these posts and it is not working for you? What might be the problem? Joe Pulizzi shared some good insights on why content marketing may not work in the May issue of COO: Chief Content Officer. Here are some of his points. 1. Make sure that your content is not all about you. Prospects are looking to solve their problems. So be sure your content provides a solution. 2. Your content does not include calls to action. Remember the real reason that you share content for free is to initiate and ultimately sell a membership. You need to communicate that buying a membership will ensure an ongoing flow of content. 3. Your shared content is too broad. Your shared content needs to prove that your organization is the leading expert in your membership category. If it is too general, you will attract unqualified prospects that do not need the specific solutions that you offer to members. 4. Your testing is too slow. Pulizzi notes that “speed beats perfection”. The web allows for rapid prototyping. Offer up the content and if it does not work, try something else – fast. 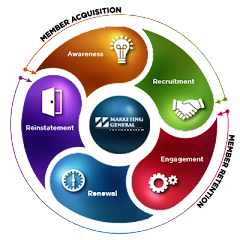 For some additional ideas on how to implement a content marketing program, you may want to take a look at my post titled, Using Online Lead Generation to Drive Membership Recruitment. Can be hard to know where to start, you've provided some great pointers. Very nice and informative post. Content is king and definitely should follow your advice as to not having too much content about you. Should follow something like maximum content about you must be around 60%. Anyway nice article. Please keep up the good work. Great article with some excellent tips. It can be hard and easy to get overwhelmed with content marketing planning. It’s very nice and informative post. effective marketing strategies involve an effective allocation of available resources in creating a viable and financially sustainable venture. A sound market-entry strategy gives an operator greater control over its market introduction and launch expectations, thereby ensuring financial targets are met.